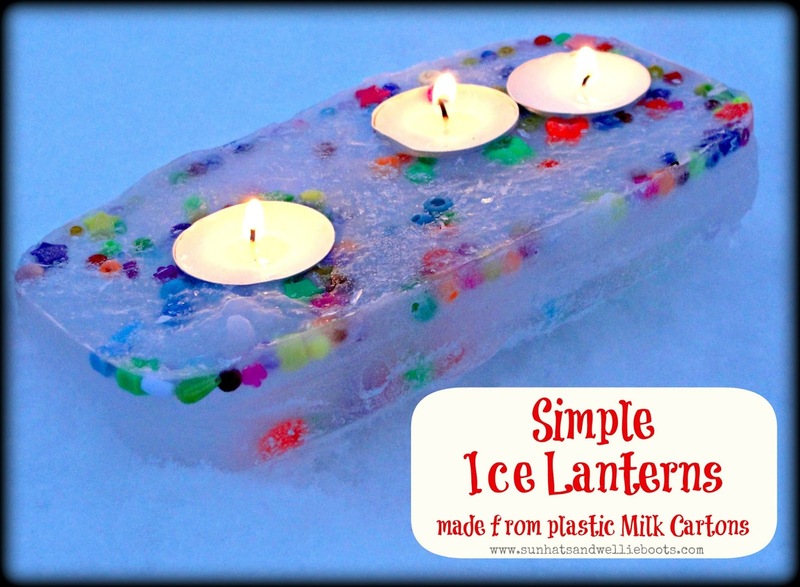 These beautiful Ice Lanterns are super simple to make, all you need is an empty milk carton & some tealights! We cut a clean plastic milk carton near the base & poured in a little water. 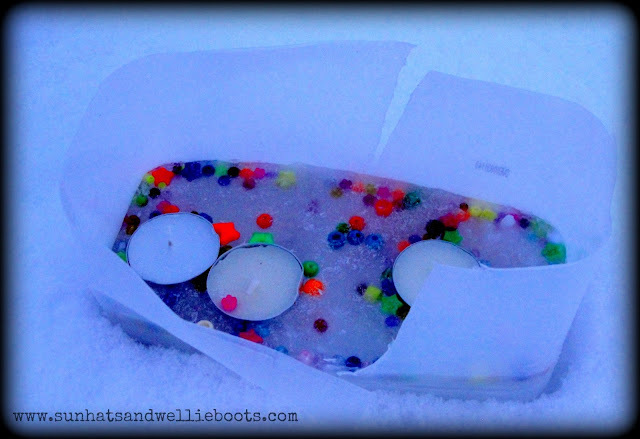 Minnie added a handful of coloured beads (you could add anything; leaves, twigs, glitter, flowers etc) & then she carefully floated the tealights on the water. 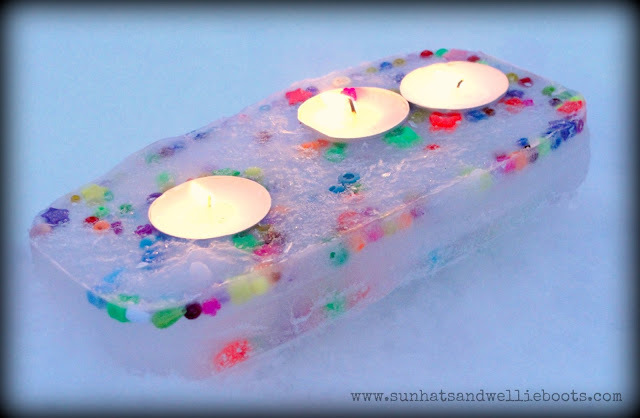 (It's easier to add the tealights at the end just before you leave the container to freeze.) 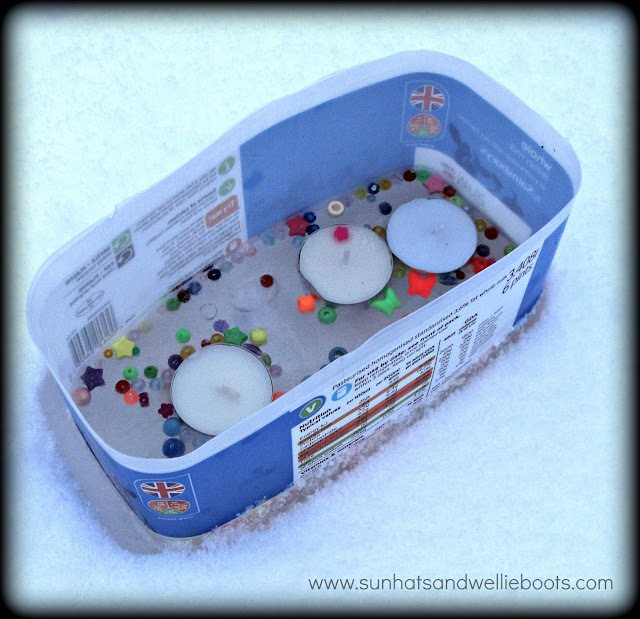 We left our container outside overnight, but if you have no winter weather just pop the container in your freezer. The next morning I carefully cut down the sides of the plastic & gently eased the ice lantern out. 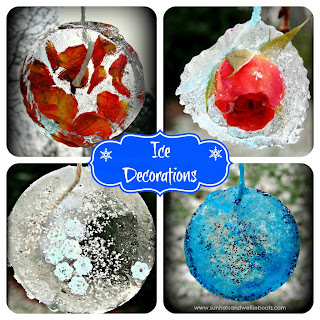 Our Ice lantern was ready to decorate our winter garden. I love how the beads dispersed through the water creating bright colourful patterns all the way through the ice, such a contrast to the blanket of snow beneath. And once the candles were lit it looked even more magical! If you like these, check out our Ice Decorations.